A pawn can become the queen if it reaches the end of the chess board. 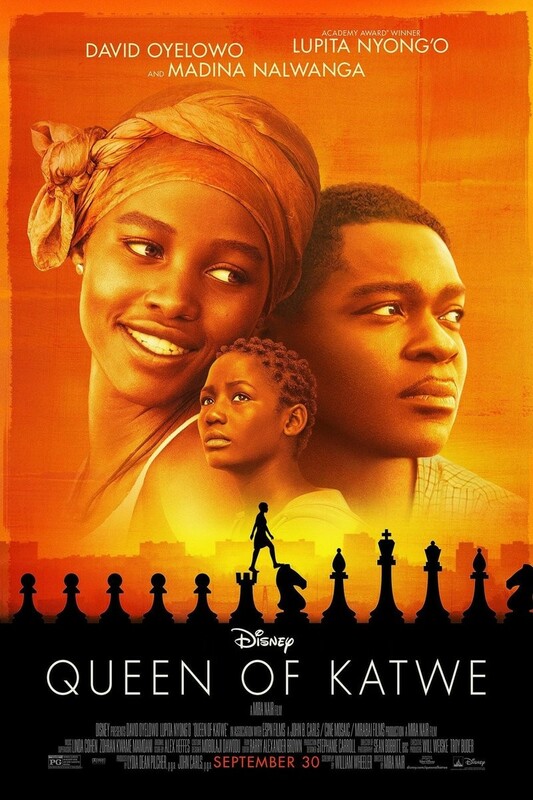 While this serves as a technical rule for chess players, it was also a life lesson for Phiona Mutsei, a Ugandan chess champion who will be visiting the Endicott School and St. John School on Friday, March 9.
coach at a missionary program in her hometown and becomes fascinated with the game, ultimately earning three championship titles and competing internationally. Accompanying Mutsei is Benjamin Mukumbya, who is also depicted in the film. The two chess players are students at Northwest University in Kirkland, Washington, after earning full-tuition scholarships. The two students compete on the college's chess team. "They grew up in the slums of Uganda, so they had a lot to overcome," says Tia Langston, Endicott branch manager with Whitman County Library's, which is partnering with the schools for the event. "It's pretty amazing that the game of chess was their stepping stool." 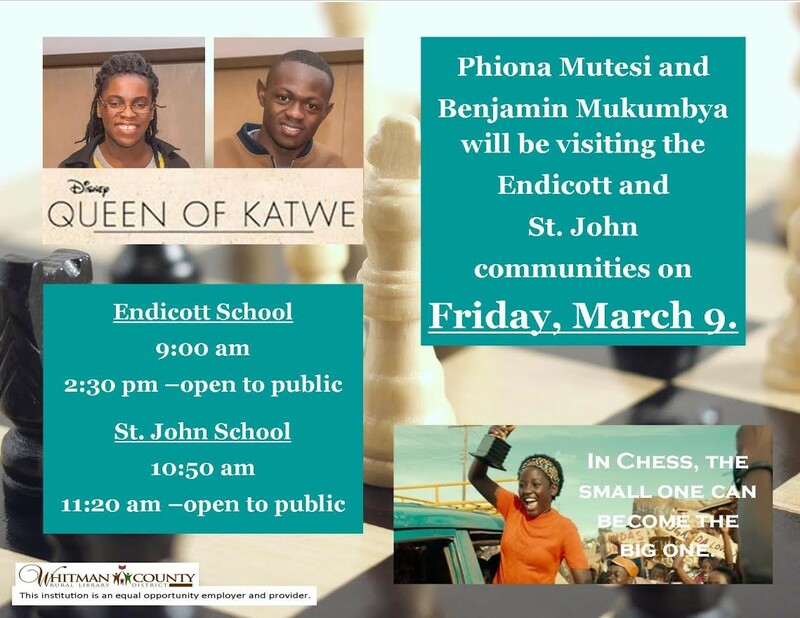 Mutsei and Mukumbya will be at the Endicott School at 9 am and 2:30 pm and at St. John School at 10:50 and 11:20 am. All discussions are open to the public, but the later events are for older students and a more general audience, Langston says. "We want to introduce kids o a new game, but also ... to show these kids you can be given very little and do big things with that little bit," she says.